NVG7-3P, night vision goggle, gen 3 ITT Pinnacle. Lightweight, rugged and a top notch performer the NVG7 is an exceptional choice for hands-free usage. This model features high resolution image intensifier, auto-brightness, and bright source shut-off. NVG7 goggles also have a built-in IR for total darkness with indicator ON light within the FOV and flip. One CR123A, case and manual are included. 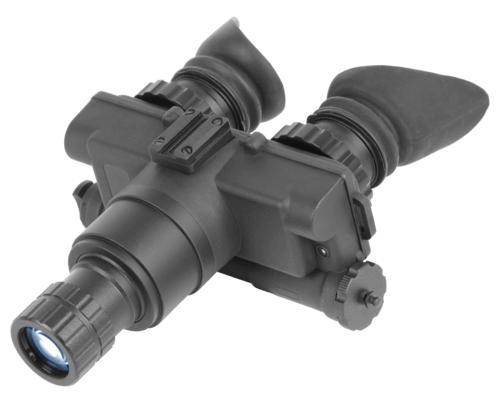 ATN NVG7 is an excellent choice for hands-free night vision applications.